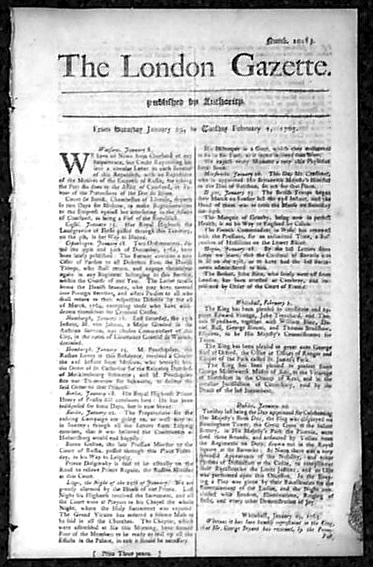 Item # 120512 THE LONDON GAZETTE, 1763 A pre-Revolutionary War newspaper from England, which is the oldest continually published newspaper in the world, having begun in 1665 and is still publishing today! Various news from around the world plus Parliamentary and legal notices and various advertisements as well. Measures about 7 by 11 inches, nice condition.